What does a just society look like, and how do we go about creating one? In this compelling talk, Father Rod Bower tackles the barriers everyone must overcome, to build a world that’s inclusive and respectful of everyone. 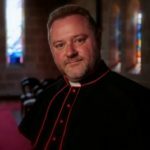 The Venerable Father Rod Bower, Rector of Gosford and Archdeacon of the Central Coast, is committed to building a just society. He’s a passionate advocate for human rights issues including marriage equality, and believes that our treatment of asylum seekers, the lack of action on climate change, and the failure to adequately recognise First Nations people, damages our soul. He received the 2016 Doha International Award for Interfaith Dialogue and was named Abyssinian of the year by the Muslim community.